Ford released the 2020 Shelby GT500 at the Detroit Auto Show last month, and although we can’t stop talking about it, there is another Shelby that is much more famous. Sure the new GT500 does just about everything well, but it’s not the one that everyone thinks of when they think of a Shelby. The Shelby that everyone thinks of is the 1967 Mustang fondly known as ‘Eleanor’. But it wasn’t actually born until the year 2000. When Disney acquired the rights to the car cult story known as Gone in 60 Seconds, and the new remake quickly became a rare example of a movie that is even more famous than the original. Sure, there was fame for stars of the film–Nicolas Cage and Angelina Jolie, but the real star was the 1967 Shelby GT500 aka ‘Eleanor’. The remake of the classic film included exotics such as Porsche 911s, a Jaguar XJ220, and a Lamborghini Diablo, but it made sure to place ‘Eleanor’ above all others. Dressed in ‘Metallic Pepper Grey’, the ‘Eleanor’ Mustang was the top pony. It was designed by hot rod illustrator Steve Stanford, and was made a reality by Chip Foose. The directors of the film informed Foose that he would only have seven weeks to build up to 15 ‘Eleanor’ Mustangs. 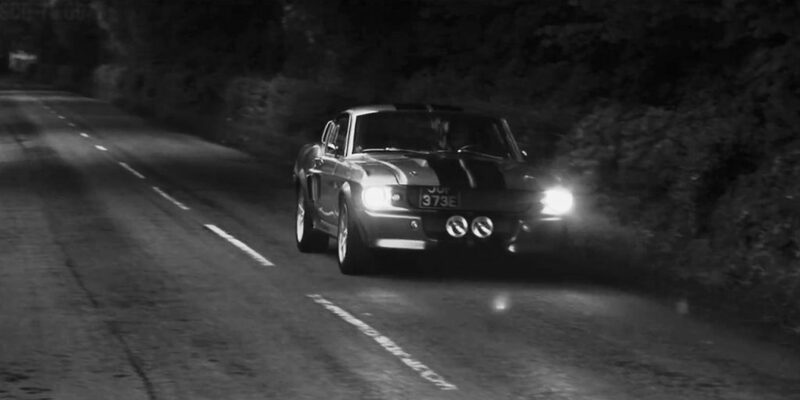 Seven ‘Eleanor’ Mustangs were finished in time for the start of filming, and the others were built during production. The ‘Eleanor’ Mustangs featured a swollen bodykit with large intakes, front spotlights, a power dome, and side-exit exhausts. AutoClassics says that a 351 cubic-inch Ford Racing engine was stuffed under the hood, and an adjustable coilover suspension was fitted for superior body control. The entire package was complete with the addition of 17-inch alloy wheels. In a recent report, AutoClassics said sources claim that eleven or twelve cars were built for filming in total, but there are only seven survivors. Several survivors have come up for sale over the years–the most significant, a ‘beauty car’ used by the actors that sold for $385,000 at Barrett-Jackson’s 2019 Scottsdale auction. This was over $170,000 more than what the same car sold for in 2009. What is your favorite iconic Mustang? Is it the ‘Eleanor’ GT500? Or do you prefer Steve McQueen’s Bullitt? Or is there a different Mustang that we are forgetting? Let us know your thoughts in the comments below, and subscribe to Ford Authority for more Mustang content.